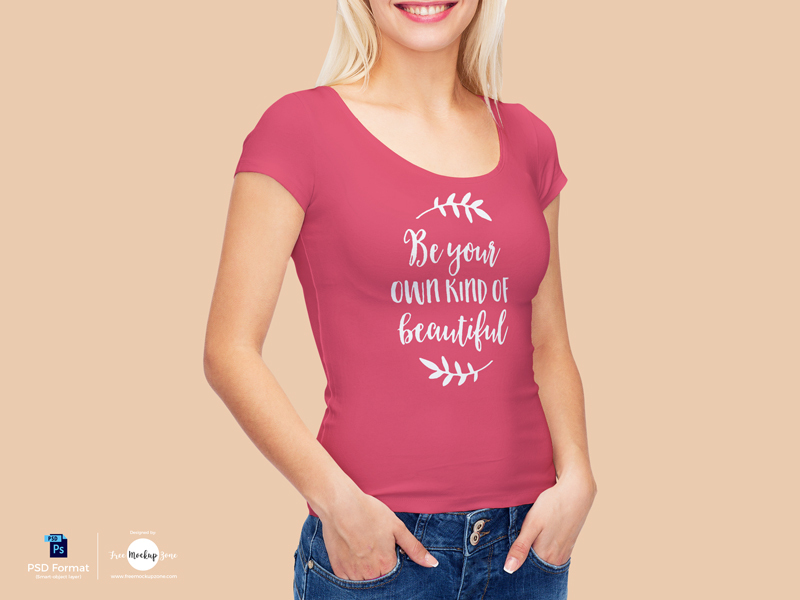 Create a photorealistic presentation of girl t-shirt brand designs by using this beautiful Free Cute Girl Wearing T-Shirt Mockup. The editable PSD format allow you to make changes such as change the background color or image and get desire presentation via smart-object layer. Feel free to download and must watch our all free mockups.